One of the most popular crossover SUV models ever, the Jeep Cherokee just got a facelift to keep it modern and fresh. 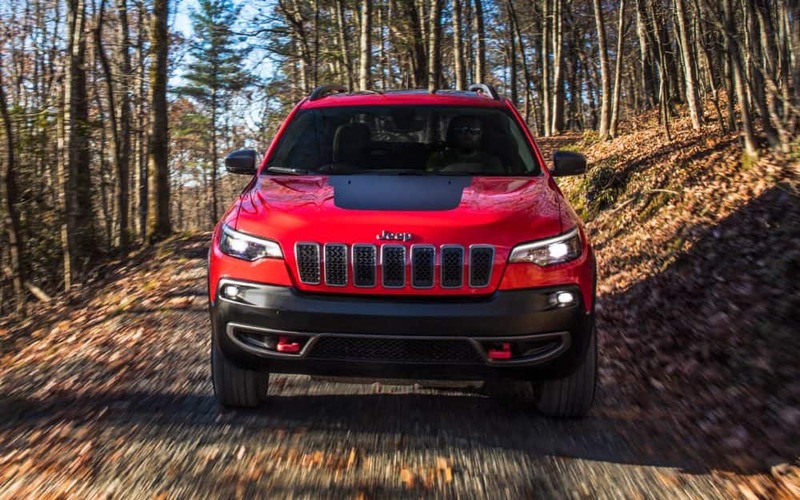 With a redesigned front fascia and hood, increased interior space, and plenty of modern touches, the new Cherokee keeps with the times while remaining true to classic Jeep origins. Read on to check out what's new, and what we love about this incredibly popular model! What engine choices do I have with the 2019 Jeep Cherokee? 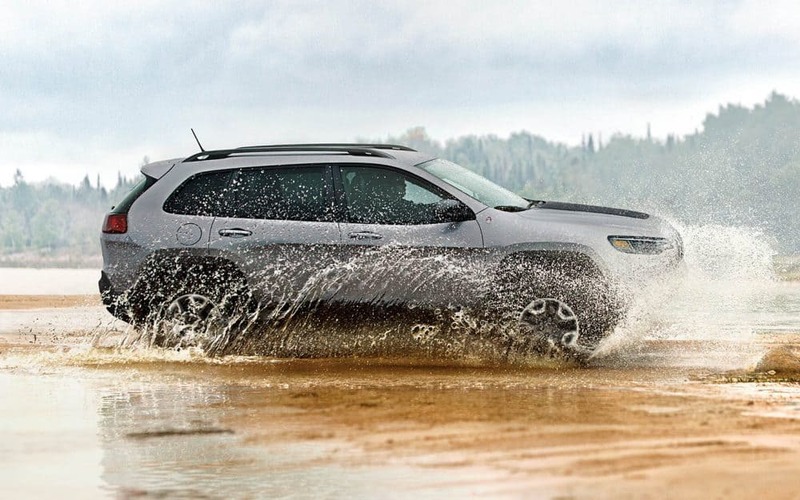 For the 2019 model year, the Jeep Cherokee will be offered with your choice of three capable engines. First up is a 2.4-liter Tigershark MultiAir2 four-cylinder, which puts out 180 horsepower and 170 pound-feet of torque. This economical engine has been the base powertrain for the Cherokee for many years. Also carried over from previous years is a powerful 3.2-liter Pentastar V6. Featuring Engine Stop/Start Technology, the V6 puts out 271 horsepower and 239 pound-feet of torque, and offers the Cherokee's maximum tow capacity of 4,500 pounds when properly equipped. Finally, an all-new 2.0-liter turbocharged 4-cylinder offers 270 horsepower and 295 pound-feet of torque for an excellent balance of economy and power. No matter which engine you choose, you'll get an enhanced nine-speed automatic transmission. What interior and exterior features can I get with the 2019 Cherokee? 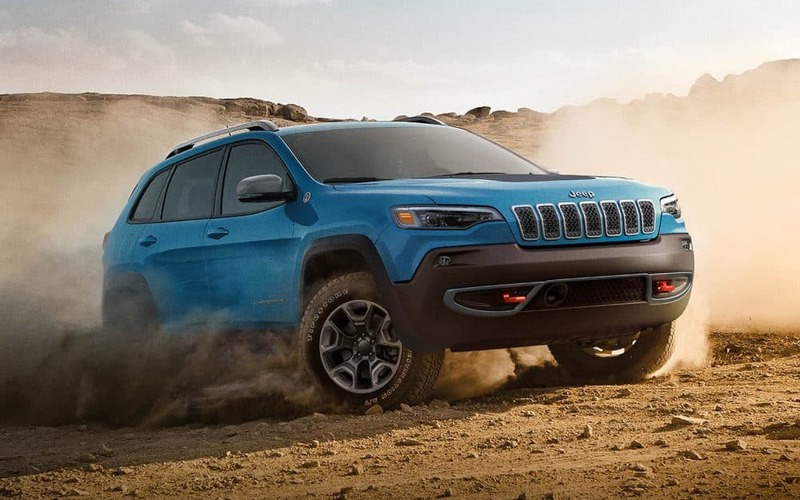 The 2019 Jeep Cherokee's design is a perfect balance of classic and modern. 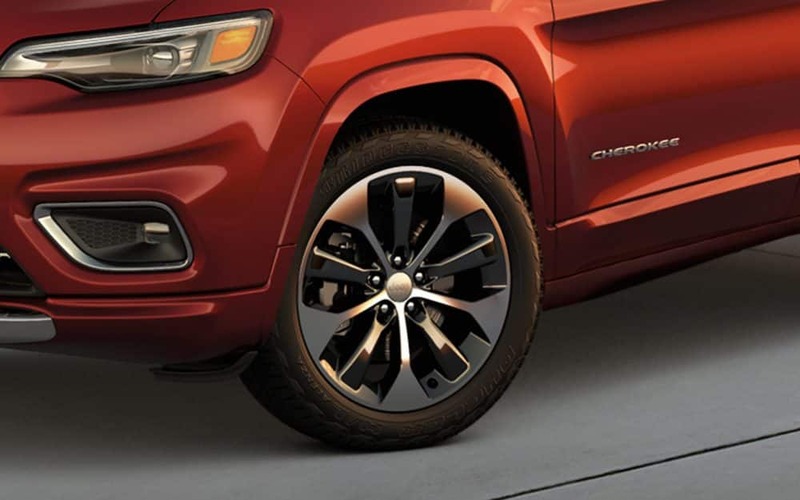 Redesigned headlights, hood and fascia give the vehicle a more commanding and aggressive appearance than ever, while Jeep's classic seven-slot grille remains an integral part of the exterior. New tail lights, a relocated license plate, and an available hands-free power liftgate are among improvements to the rear. On the interior, stylish and modern design reigns, which available soft-touch leather and chrome details. 7 and 8.4-inch touchscreen interfaces are available, as well as a customizable Driver Information Digital Cluster Display. Available premium features include a dual-pane panoramic sunroof, a premium Alpine sounds system with an 8-inch subwoofer, and media connectivity via Bluetooth, USB and auxiliary ports. Additional interior space is another hallmark of this redesign, along with a hidden load floor for additional trunk storage space. What safety and security features can I get with the Jeep Cherokee? 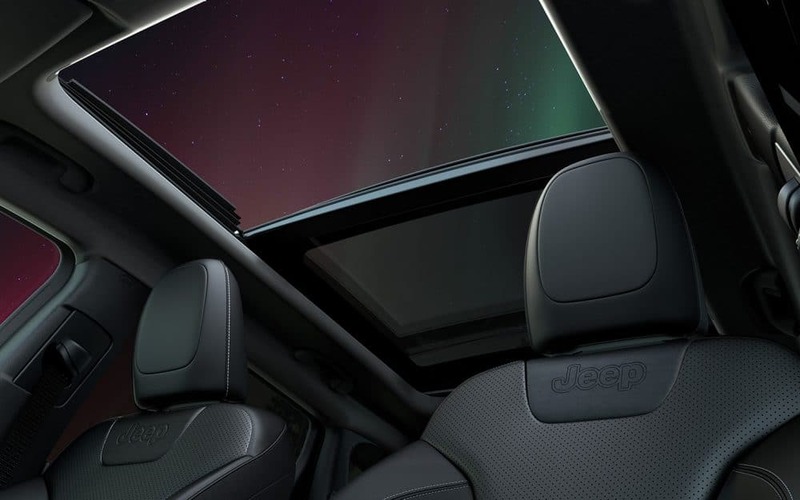 Plenty of safety and security features are available with the 2019 Jeep Cherokee, starting with a robust body structure built with high-strength steel. A suite of eight advanced airbags is standard, as well as a ParkView rear backup camera and electronic stability control. Advanced options include blind spot monitoring, lane departure warning, full-speed forward collision warning, and rear cross path detection. Parking assistance is available on some trims, as well as semi-automatic parallel and perpendicular parking. Keyless enter and go with passive entry and keyless entry with a panic alarm are among security features, and a remote start system is available. Crossover SUVs are more popular than ever, and the Jeep Cherokee is one of the best ones you can get. 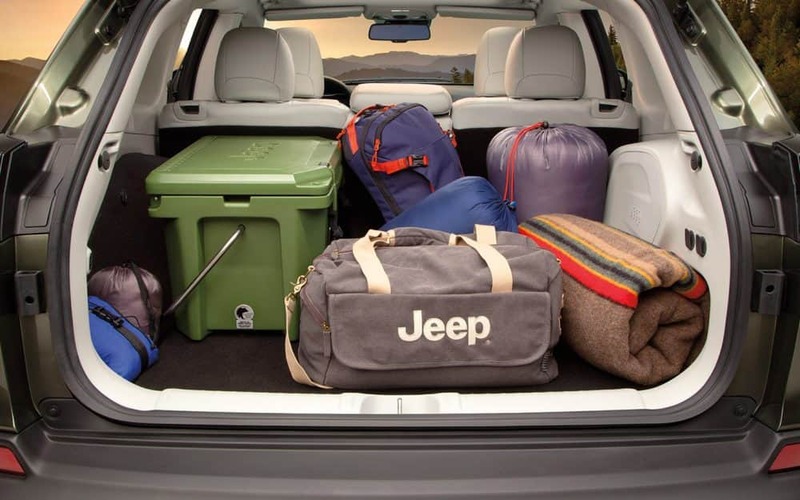 Thanks to the many enhancements and redesigns in the 2019 model, now is a better time than ever to purchase a brand-new Jeep Cherokee. Come down to out lot today and check out our inventory, so you can find the perfect Cherokee for you!